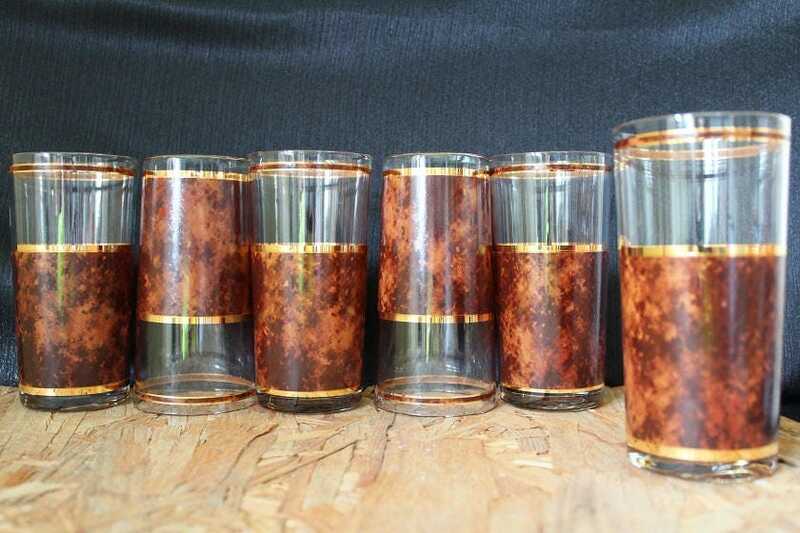 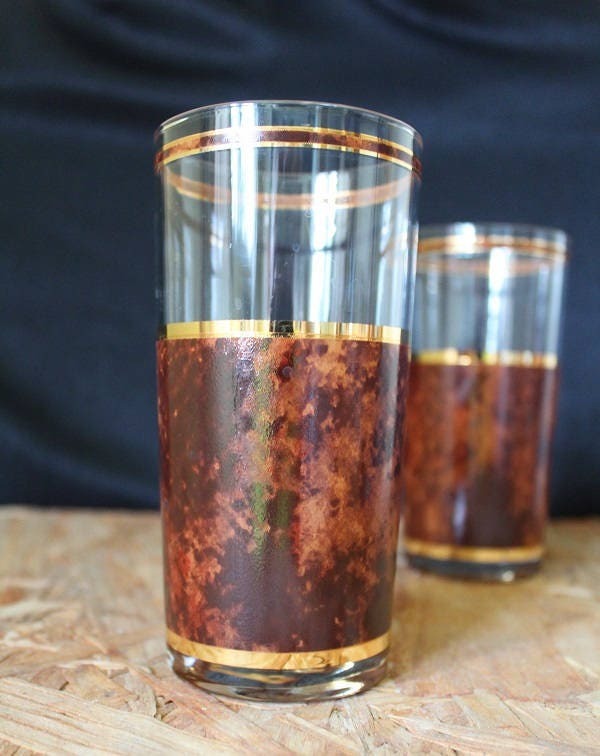 This set of six highball cocktail glasses are made by Culver during the late 1960s- 1970s. 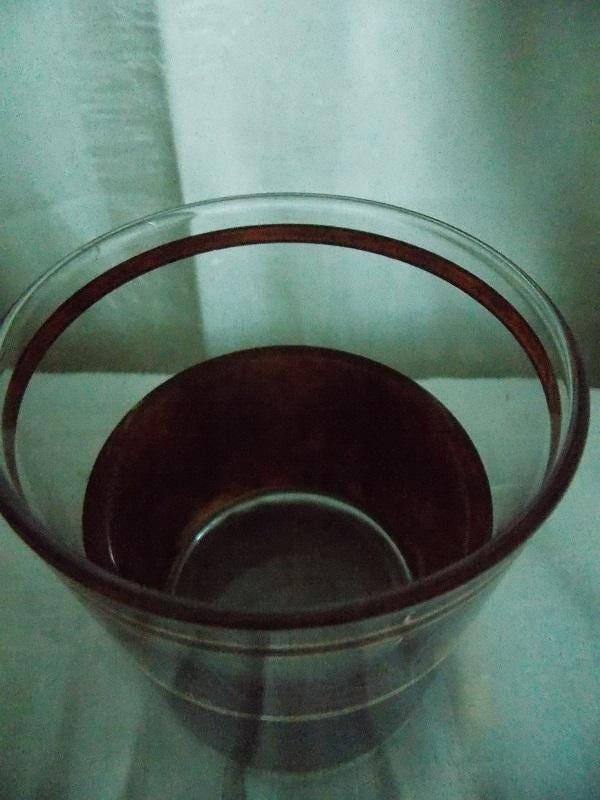 The clear glass features a brown faux leather design circling around the glass. 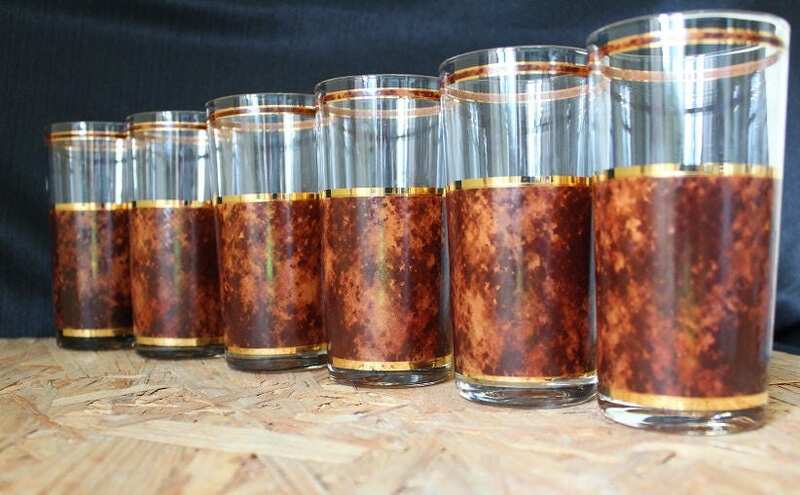 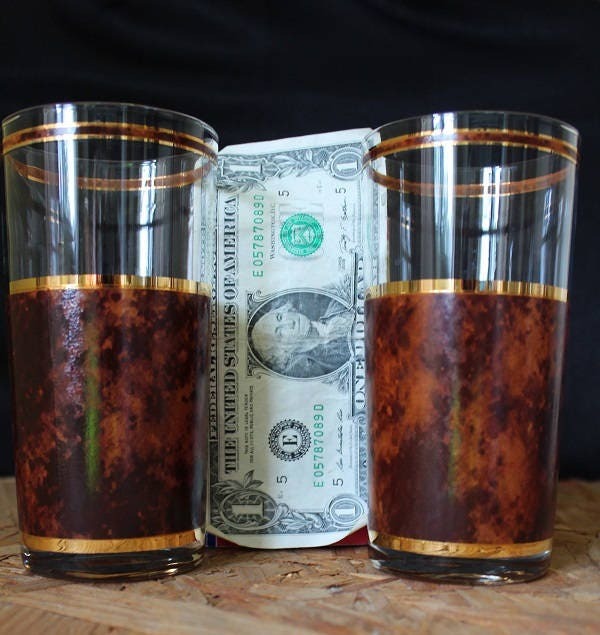 Each glass has a 22 k gold trim and clear base.